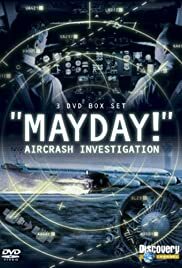 Revealing the dark truth that aviation safety improves one crash at a time, Mayday investigates legendary aviation disasters to find out what went wrong and why. Based on cockpit voice recorders, accident reports and eyewitness accounts, every episode also features interviews, state-of-the-art CGI and gripping reenactments. Samantha Hunter suspects someone within the private intelligence agency she works at tried to kill her and she seeks to uncover the person behind it.